The company provides contract drilling services to energy companies primarily in the Permian Basin in Texas and in the Oklahoma oil fields. The customer provides drill rigs on contract complete with labor, servicing and power based on a daily rate for the contract. The oil drilling business and its capital intensive needs can fall foul of lead times when business is good. Drilling rigs previously ordered from the manufacturer with 9-10 month lead times can succumb to swift changes in the industry’s economics and with the recent changes in the oil & gas industry, the financial markets appetite for oil and gas equipment evaporated faster than the drilling companies could adjust. The customer had ordered a number of state of the art drilling rigs but had conservatively made sure he had 3 year “pay or play” contractual terms from his customers. However, facing pressure from his bank consortium’s monitoring of his credit line and the desire to adjust his cost basis to match the market’s downturn, he needed third party financing to support his contracts. 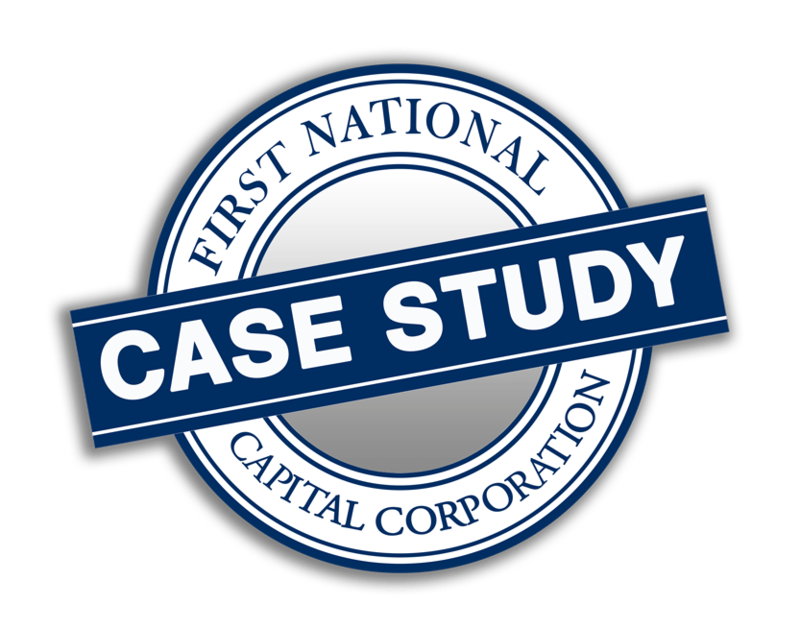 First National Capital built a solid relationship with the customer over a number of years with multiple transactions, but a $22mm drilling rig in the midst of a downturn in the oil and gas business is a tall order for any capable financial institution or strength of a relationship. However, First National moved beyond issues that cripple most lenders and delivered financing for this mission-critical rig. The ultimate financing structure and requirements were complex, and the First National team worked through numerous challenges over several months to ultimately deliver the financing to the customer on the rig’s delivery date. The rig went to work in early 2016 and its performance has broken production records on a constant basis for our customer’s customer.